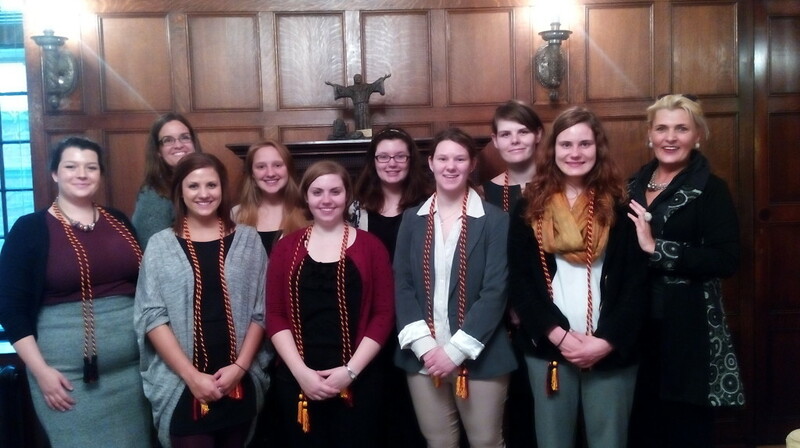 While the Tau Epsilon chapter of Delta Phi Alpha at Aquinas College in Grand Rapids, Michigan is fairly new (it was only founded in the fall of 2013, and has currently 19 members) the chapter has already celebrated two initiation ceremonies (2013 and 2014), and is very busy promoting the study of German language, culture, history, and civilization – both on campus as well as in the larger Grand Rapids community. 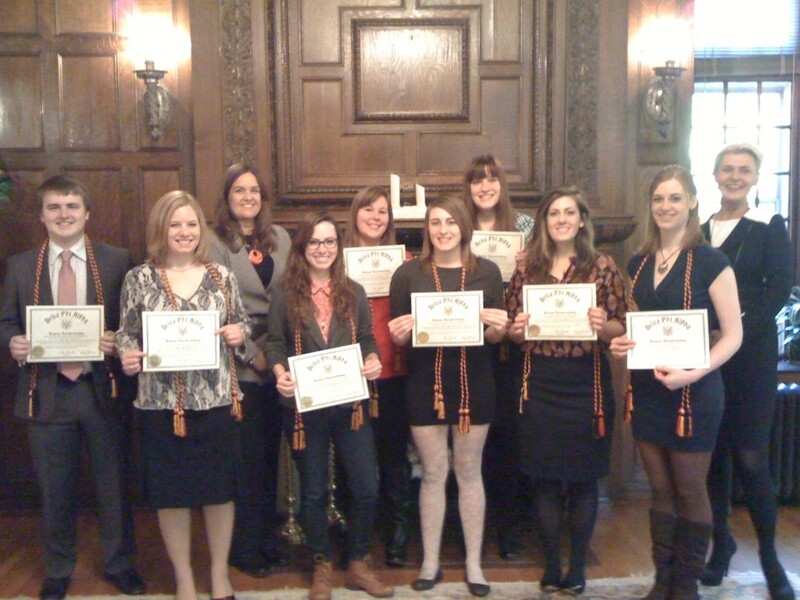 In October 2014, Tau Epsilon received a chapter grant that members used to support two events during the academic year. 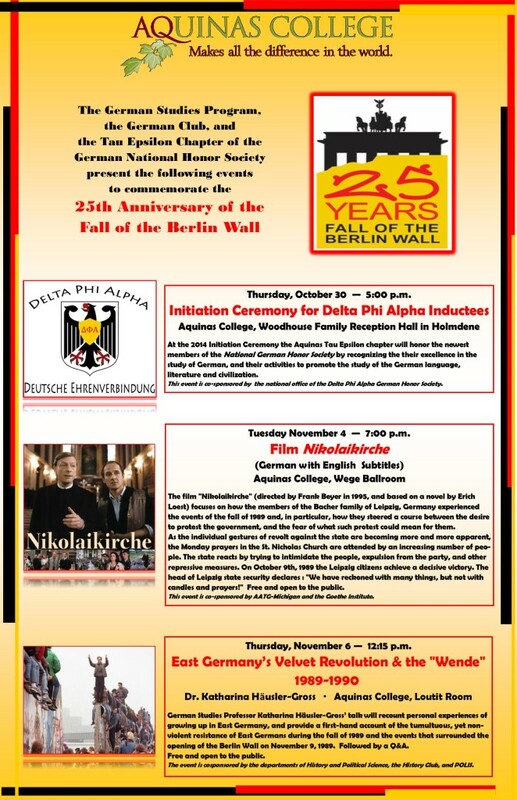 Celebrating the 25th Anniversary of the Fall of the Berlin Wall, DPA members volunteered to help with festivities that included a film screening (“Nikolaikirche”, 1995) and lecture/Q&A (“East Germany’s Velvet Revolution and the Wende 1989/90″) at Aquinas. Both events attracted over 150 students and faculty from various academic departments on campus, while students from other local colleges and universities and the larger Grand Rapids community participated as well. Since the Tau Epsilon chapter is also actively involved in community outreach programs, DPA members collaborated again with the Chiaroscuro International Film Series, an annual film festival in Grand Rapids, whose mission is to promote education and understanding of cultural diversity around the world through international films. In February 2015, DPA members facilitated the German film “Almanya – Willkommen in Deutschland” (2011) at the Urban Institute of Contemporary Art in Grand Rapids, and shared their experiences of having lived and studied in Germany.